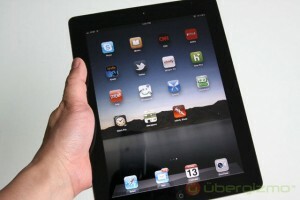 The Kindle Fire HDX is NOT the Best Tablet Ever? I really enjoyed CNN’s review of the newest Kindle Paperwhite, which they’d called “the best digital reader ever.” So I had to laugh when I saw a review for Amazon’s new color table, the Kindle Fire HDX. Business Insider gave a review with a headline that was exactly opposite. 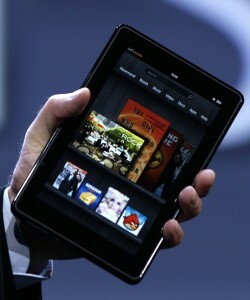 They wrote that newest Kindle Fire was “Not The Best Tablet You Can Buy”. 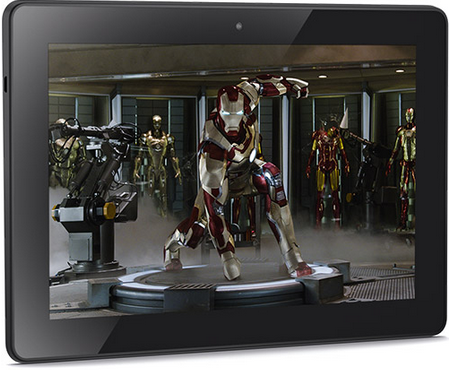 But they still called it Amazon’s best tablet ever. So what did they like about the tablet? 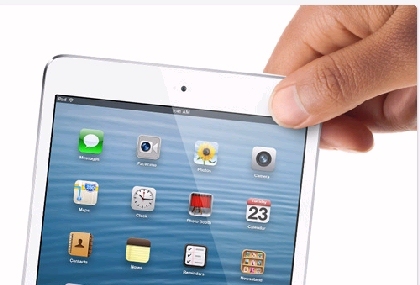 First, its 7-inch screen “is sharper than the relatively weak display on Apple’s iPad Mini”. And the design of the tablet has been improved too, so it’s now got a comfortable angular shaped (as opposed to the box-with-rounded-corners design of the earlier Kindle Fires). Their reviewer, Steve Kovach, ultimately concludes that the device’s battery life was “pretty good,” lasting about six or seven hours on a single charge. And I think that’s a bigger deal than he recognizes, because high-definition screens always do tend to use up more of your battery’s charge. So what didn’t he like? Hisfirst real complaint seemed to be that Amazon’s app store has a lot fewer apps than Google’s own app store (which is available on most other devices). He even writes that the selection of apps for the Kindle Fire is “tiny” — just 85,000, versus the nearly 1 million that are available in Google’s store. But ultimately I think the reviewer makes a mistake when he writes that the Kindle Fire is “missing” popular Google services like YouTube and Gmail. You can watch YouTube videos just fine on a Kindle Fire if you download a free third-party app like FREEdi YouTube player — and you can also set up the e-mail application on your Kindle Fire so it’s downloading its email from Gmail. But the most interesting line of his review isn’t even in the review, but in the author’s byline, which includes this disclaimer. “Disclosure: Jeff Bezos is an investor in Business Insider through his personal investment company Bezos Expeditions.” On the one hand, you could worry about what happens when our news outlets are being purchased by the people that they’re supposed to be covering. But on the other hand, it seems pretty clear that their reviewers still aren’t pulling any punches! I think my favorite line of the review came when they were discussing one of the newest features on the Kindle Fire HDX — its “Mayday” button, which instantly connects you to live a human being who can help you with technical problems. Amazon’s founder, Jeff Bezos, has always insisted that customer service is a big part of what made his company so successful, and even Business Insider applauded their newest approach. “[I]t’s pretty cool that Amazon has invested so heavily in customer service that it has real humans waiting to help you out 24/7 at the push of a button. My New Free App in Amazon’s App Store! For two weeks straight, I spent every waking minute trying to finish my first free app. But it’s finally here, and here’s the big announcement: it’s ready for downloads from Amazon’s “Apps for Android” Store. Unfortunately, it’s not available yet for the Kindle Fire (or for any Apple devices). But you can still download it now to your Android tablet — or even to an Android smartphone! Yes, the app is called “500 Inspiring Quotes,” and it came out much better than I expected. 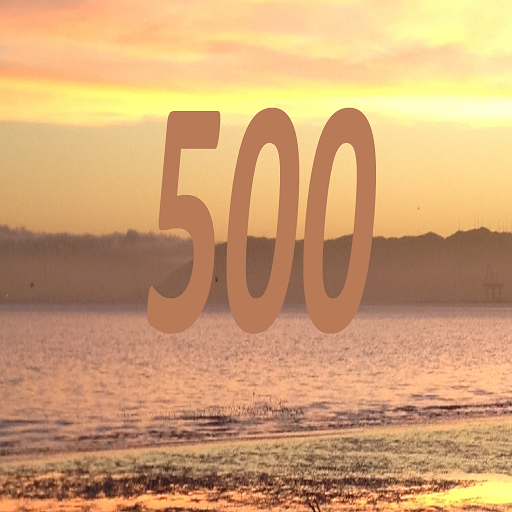 My girlfriend took a wonderful photo during a visit to Alameda’s Crown Beach, and the night that I finally released my app, I surprised her by including it as the app’s “cover photo!” For over a year I’ve been struggling to learn how to write a computer program. That night was my chance to prove that I could really do it. Everything in the app was meant to be both simple and positive, and I read thousands and thousands of quotes searching for 500 that could always deliver a real lift whenever you sat down to read them. There’s quotes by everyone from Oprah Winfrey and Jerry Seinfeld to Winston Churchill, Voltaire, and even Cervantes. But I also worked in quotes from some of my favorite authors — like Jack Kerouac, Toni Morrison, Henry Miller, and Mark Twain. 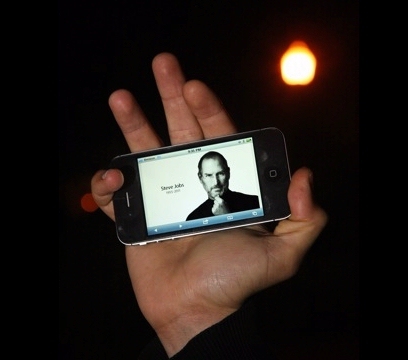 There’s not any ads in the app, since it was never meant to make money — just to share some warm moments of inspiration. And ultimately, it was a very personal experience, since I was weighing the words of the greatest minds of our civilization — and then trying to cherry-pick the words which would mean the most to the people who read them. I found some surprisingly great quotes from unexpected sources, like Star Trek actor Leonard Nimoy and even tennis player John McEnroe. And this also gave me a chance to include some nice thoughts from both Roger Ebert and Annette Funicello, who both died this year, but are living on in their words. 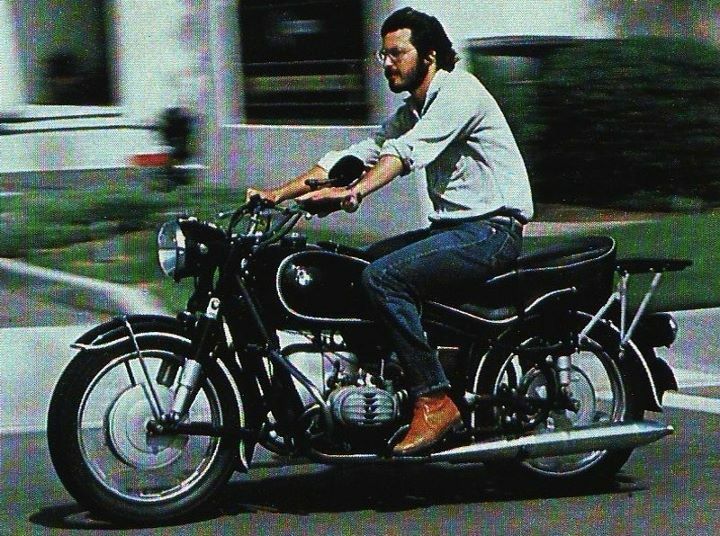 In the end I even spent part of my birthday looking for more inspiring quotes — since it took a long time to find over 500 of them. So this app represents a personal triumph for me in more than one way. I finished all the quote-gathering, and finished all of the computer programming too. And now instead of downloading apps for my device, I can upload one instead, to share it with everyone else! It’s ultimately given my app a very interesting relationship with Amazon. 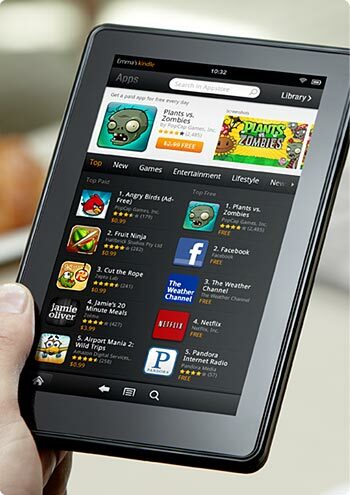 More than two years ago, Amazon started an Android store so they’d have their own place for selling apps when they eventually launched the Kindle Fire (back in the autumn of 2011). But all of those apps in Amazon’s store are also available on other Android devices, which is how you can download my app to other non-Amazon tablets and Android smartphones. Because my app is an Android app, I also uploaded it to Google’s own app store (the Google “Play Store”), which ended up with a very funny twist for this Kindle-loving man. Even though I was trying to build an app for the Kindle Fire, so far (through the Google Play Store), it’s only available on the Nook! 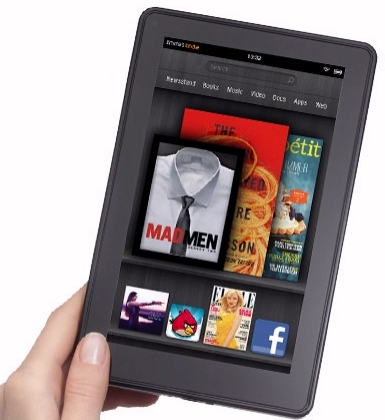 If you’re shopping for a new Kindle Fire tablet, I’ve just discovered some great new ways to save money. 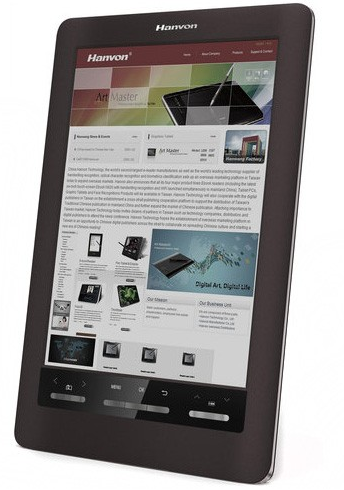 For example, if you’re just shopping for a basic Kindle Fire tablet, you can buy one now from Amazon for just $134. It’s a refurbished Kindle Fire, a previously-owned device that Amazon promises has been “refurbished, tested, and certified to look and work like new.” That’s a savings of $25 — and Amazon’s also offering similar discounts on some of their other Kindle Fire tablets! 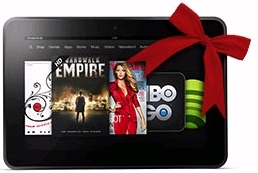 This means that you can also save $30 on the high-definition versions of Amazon’s 7-inchKindle Fire tablets. A refurbished model now costs just $169 — a nice discount from its usual price of $199. These tablets come with 16-gigabytes of storage space, but Amazon’s also offering the same discount on the tablets with more storage. For $199, you can buy the 32-gigabyte version of a refurbished Kindle Fire HD tablet — though the new ones would normally cost you $229! 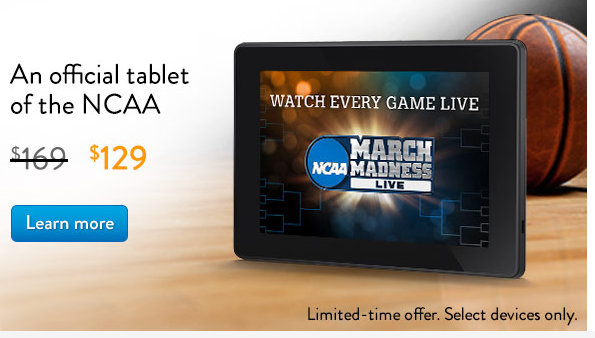 That may actually feel like a $50 savings to some people, because up until this month, Amazon was charging $249 for the 32-gigabyte version of their Kindle Fire HD tablets. But sometime in April, they quietly discounted its price to just $229. Now they’ve discounted that another $30 if you’ll purchase a refurbished version. And if you opt for the 16-gigabyte drive instead, you’ll save $80 over what the 32-gigabyte version would’ve cost you in March! 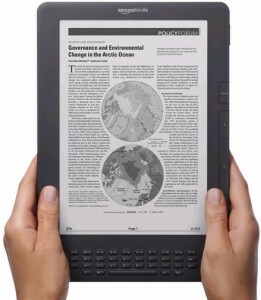 I was hoping Amazon would also discount some of their black-and-white, e-ink Kindles. But when I checked this morning, they were still on sale at their regular price. 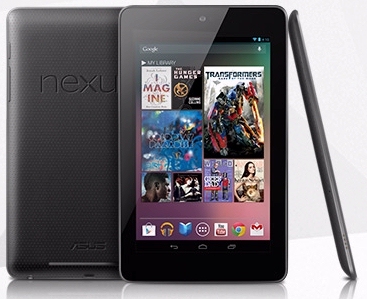 In a way, that makes these refurbished tablets seem that much more special. 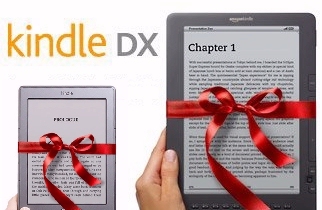 The only thing better than a multimedia Kindle is one that Amazon sold you at a big discount! “Every Certified Refurbished Kindle is backed by a full one-year limited warranty,” Amazon explains, “just like a brand-new Kindle.” (Before shipping them to customers, Amazon performs a full diagnostic test, install the latest software, give the devices a thorough cleaning, and even re-package them in a new box.) It even comes with a free month of Amazon Prime, so you can watch thousands of movies and TV shows in Amazon’s Instant Video library without having to pay for them individually. Amazon Prime also qualifies you for a discount on faster shipping of any products you purchase from Amazon — but it also earns you some fun Kindle freebies, like the ability to access new books for free in the “Kindle Owner’s Lending Library”! 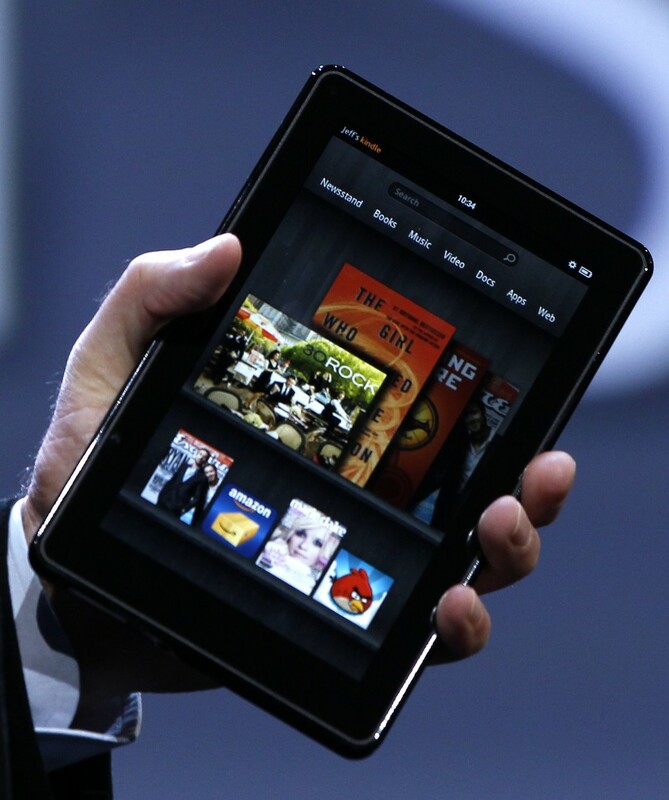 Amazon’s made two big announcements in the last week – both about their Kindle Fire tablets. And now technology watchers are trying to put the pieces together, offering up their best guess about what Amazon is really up to! 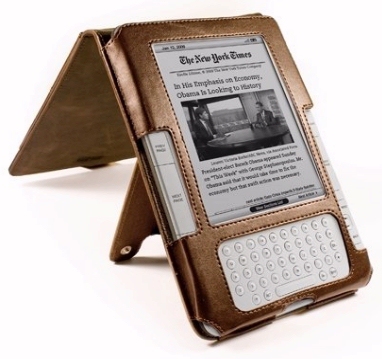 Earlier this month, Amazon was temporarily sold out of their Kindle Touch – and bloggers took it as a sign that Amazon was about to release a new model within a week. Instead, Amazon announced a big press event for September 6th — exactly one week from today. And this morning, the anticipation continued to build as Amazon offered another tantalizing piece of information: that they’d sold every last one of their current Kindle Fire tablets, and they apparently weren’t going to make any more of this model. “We’re grateful to the millions of customers who have made Kindle Fire the most successful product launch in the history of Amazon…” Amazon’s CEO Jeff Bezos said in a statement, confirming Amazon was “sold out” of their current Kindle Fire, but adding that “we have an exciting roadmap ahead…” If you visit the current Kindle Fire’s page on Amazon, you’re now told that they’re available from “these sellers”. 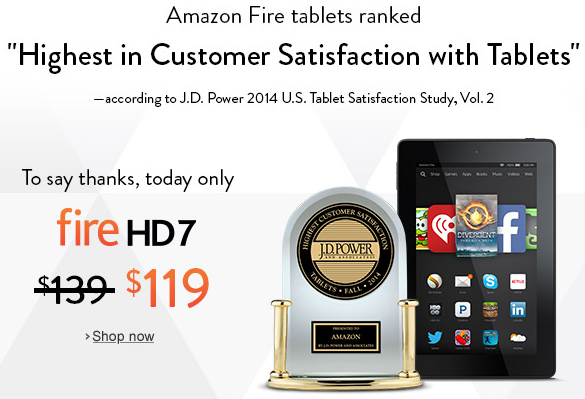 Amazon’s basically pointing to people who are selling used Kindle Fire tablets. 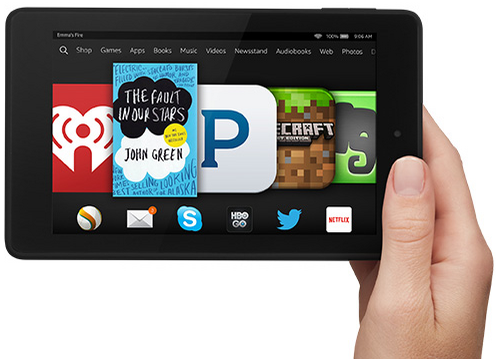 But why did Amazon discontinue sales of their original Kindle Fire tablets? Here’s some of the best theories. Amazon’s comment about an exciting upcoming “road map” seems like a not-so-coy hint that next week’s press conference will be about the next generation of Kindle Fire tablets. And at the technology site Slashdot, at least one poster thinks this is all part of a very deliberate campaign by Amazon. “This development strikes me as a classic ‘Build anticipation for KF2’ thing, not a ‘Phew, we got rid of the things. They were taking up space’ type complaint. ” Next week, when Amazon announces a new tablet, there’ll now be a full week of pent-up demand for a color Kindle tablets. What’s the real story? Who knows. 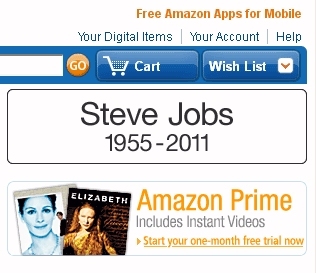 But Amazon is obviously planning something big, . And if their plan was to increase the curiousity among Kindle owner — it’s working! 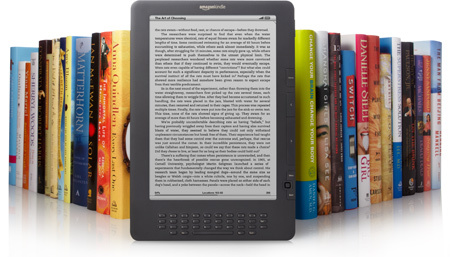 Is Amazon Planning a Color Kindle? This is just another rumor — but it’s a juicy one! 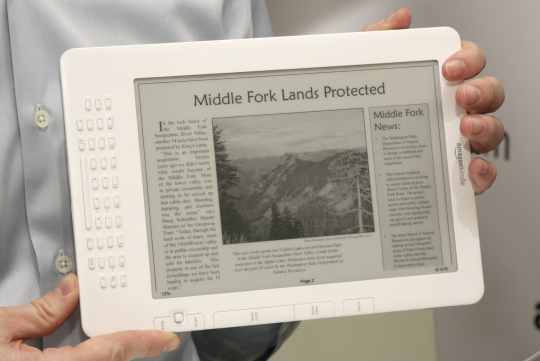 “Amazon Kindle could get a color screen this year,” reads the headline at one technology site. This apparently isn’t the touchscreen Kindle Fire tablets, but the regular Kindles that display ebooks (and games) without a backlit screen. I saw this rumor on the “ToyBoy” technology blog at Ziff-Davis’s web site, but they’re citing a report from DigiTimes, a well-respected technology newspaper, who attributed their information to “industry sources”. They’d report that “makers in the supply chain” are believed to be shipping parts and components this month for a color e-book reader. And the blogger at Ziff-Davis had just one question left: what took them so long? 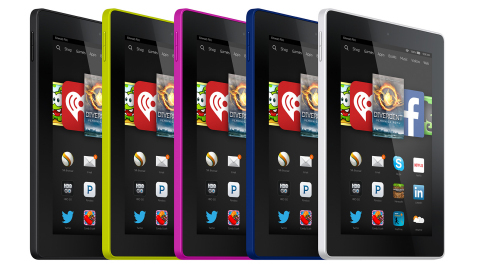 We may be getting close to the day when Amazon finally launches a color Kindle. 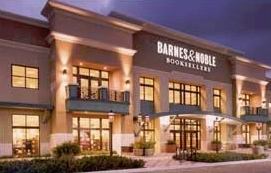 Maybe it’s a way for e-book readers to enjoy some of the same perks that are available in the bookstore for the Kindle Fire tablet. It is fun to see a full-color picture for the cover of your ebooks — and if you’re reading a magazine, there’d even be color pictures! I just hope that when I’m finally ready to go back to reading — the words on the page stay in black and white!